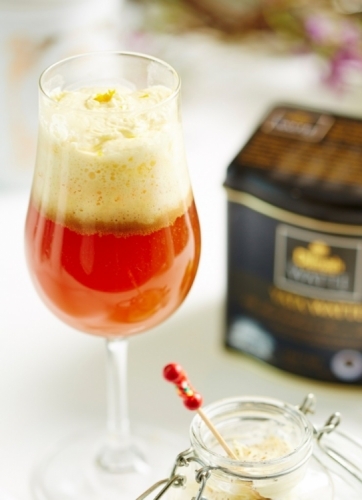 Place the Meda Watte Tea at the bottom of a sherry glass. Slightly twist the orange peel into the tea. Top up with freshly whipped cream and serve immediately.